Sunday Supper says "Cinco de Mayo is almost here and we want to see your best recipes to celebrate. This holiday celebrates Mexico’s victory over France in the Battle of Puebla during the Franco-Mexican War. It is now celebrated across the United States as a fiesta of good food, family, and friends"
Today we are all sharing our favorite Cinco de Mayo recipes. This party is being hosted by Shelby of Grumpy's Honey Bunch. 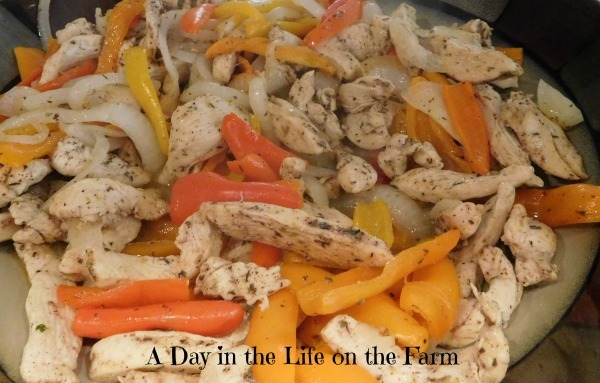 I am sharing a quick, easy and complete one pot meal today, Chicken Fajitas. In fact, I am going to be sharing Mexican Recipes all week long with my Holiday Fun with Blog Friends group, so stay tuned for that. Now, back to Sunday Supper. This one pot meal is perfect for Lazy Sundays with family and friends. Your chicken can marinate for up to 3 hours and the vegetables can be prepped and set aside so that when you get hungry, dinner will be on the table in about 15 minutes. This meal is perfect for entertaining. Put out some chips and salsa, pour some margaritas and relax while you visit with your friends. Refill their drinks and head to the kitchen to cook up this meal that needs nothing more than a side of sour cream and some guacamole should you choose. Warm up some tortillas and dinner is served. Sour Cream, Guacamole and Salsa for serving, if desired. Clean and trim any fat and cartilage from the chicken breasts. Slice into 1/2" thick strips and place in a large bowl. Add the lime zest, lime juice, sugar, basil, thyme, cinnamon and cayenne. Toss to coat the chicken thoroughly. Cover and refrigerate for at least 30 minutes and up to 3 hours. Peel, and halve the onion. Cut into thin slices and set aside. Halve the peppers, remove stem and seeds and cut into 1/2" wide slices. Set aside. Heat 2 T. olive oil in a large skillet or wok over med high heat. Remove the chicken from the marinade and put in pan. Discard remaining marinade. Stir fry for 5-6 minutes until no longer pink. Remove to a plate and set aside. Add more olive oil to the pan, if needed. Add the onions and peppers. Stir fry for 2-3 minutes. Return chicken to the pan and stir fry for another minute or two. Oh I love chicken fajitas and you spiced these up perfect. So pretty with all the peppers too. We love chicken fajitas, but I always enjoy trying new versions. Yours looks wonderful, Wendy! I know, Farrah, this was a great theme. 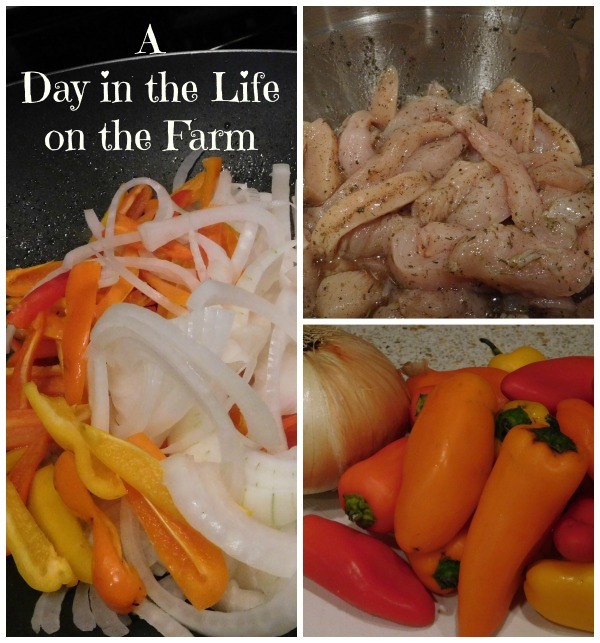 Chicken fajitas are a summer staple in our house. Your's look great! LOVING the marinade! Fajitas are a win! I love fajitas! These look fantastic! Yum! 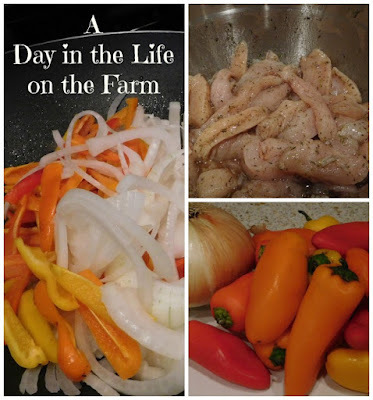 Fajitas are a favorite for me and yours look delicious. Now I am craving them. Quick and easy to prepare Tara, enjoy.